Which is closer to the surface of the moon, the summit of Mount Everest or Ecuador? Contrary to popular belief, the answer is Ecuador, as the Earth isn’t a perfect sphere. As the Earth is constantly spinning, centrifugal force causes it to bulge out at the equator much like a water balloon would if you placed it on a table and pressed on the top. Let’s look at Mount Chimborazo in Ecuador. The summit of Chimborazo is 6,267 m (20,561 ft) above sea level, which is quite large but not quite the highest mountain in the Andes. If you take into account the Earth’s equatorial bulge, a straight line from the summit down to the estimated centre of our planet would be 6,384.4 km (3,967.1 mi). Now look at Mount Everest, widely known as the tallest mountain in the world. The summit of Everest is 8,848 m (29,029 ft) above sea level, but a straight line from the summit to the centre of the Earth would only be 6,382.3 km (3,965.8 mi). So even though the summit of Chimborazo is about 2,400 m closer to sea level than Everest, it’s still 2,100 m further away from the centre of the Earth! By this logic, three more mountains (Huascaran, Cotopaxi and Kilimanjaro) around the world are actually “higher” than Everest as well. Sadly our newly defined rules aren’t taken into account when deciding on the world’s highest mountain, so although Chimborazo is ranked the highest in distance from the centre of the Earth, Mount Everest still wins since we always measure to sea level. If you’re a climber and neither one these appeals, you could always try Gangkhar Puensum in Bhutan. It’s considered the highest unclimbed mountain in the world1. And every place on the equator is closer to the moon than someplace away from the equator, because the moon circles the equator (more or less). You could dig a big pit next to any big mountain and say it’s higher from the bottom of the pit to the mountain top than Mauna Kea, doesn’t make it record worthy. It’d go with closer to space (Mt Everest, assuming I’m right about the atmosphere being of equal depth all over Earth) or furthest from core. But if datum is sea level, as the tide changes so does datum……….. some places more than others…. Sea level is not affected by tides. Sea level is … MEAN sea level isn’t. interesting post, and interesting discussion as well, but overall not worth arguing about. I was taught that a mountains height was the distance between its peak and sea level not the distance between the peak and reality. Mount Everest is In Nepal and it is still the world’s highest mountain (peak) of the world. and don’t try to be oversmart with this article. Been there done that. Kili is higher. Perhaps Ramish should learn to speak and read English. Hiw language is unacceptable on such a good website. Thank you for good presantaion. Similar to Damavand mount in Iran. Mt.Mickinley is higher than Mauna Kea. I think it depends on whether you stop at sea level or not. Mauna Kea is “taller” from peak to base because the bottom of the mountain is the Pacific ocean floor. Mount McKinley I believe is the tallest mountain with a base above sea level. With sea level as the reference level, Mt Everest tops with flying colors and its summit is closer to space than all other points on Earth, as others have pointed out. Unless one looks at Chris Hannigan’s view of the Earth’s bulge under Chimborazo being greater than Everest, where the reference is taken from Earth’s centre, instead of at sea level. Choosing sea-level as a basis for measuring height is arbitrary and kinda dumb. First, there’s no sea near Everest, and the mountain juts up from a high plain. Sea level itself changes with climate, so as ice caps melt and sea level rises, Everest “shrinks”… Hawaii’s Mauna Kea has a better claim as the world’s tallest mountain than Everest, as it is tallest from top to bottom. Why involve the sea? I’m 188cm (6’3”) – if I go into the water up to my chest, I don’t become 60cm tall. But Chimborazo also has a decent claim. I suppose visitors from outer space would note & rank Everest as less significant than Mauna Kea & Chimborazo. right and/or wrong as uall mayb, bn that space is so vast, we can only go from base to height! or subtract from the sun or ne othr object in the universe to the top of eithr mount. Also i go along with Mr. Oaks scenario!!! tallest:height from base , and i dont thinkthis is false argument,… we have to consider sea leve l as a base …… height of everest ,lies on Nepal have far tall height then any other peaks,..
To me, there is a big difference between the “highest” mountain in the world and the “tallest” mountain in the world. The tallest mountain (to me) is the one that has the greatest distance from base to peak, regardless of sea level. The highest mountain can be measured by either sea level or distance from the core, whichever you prefer. A height of a peak is defined by the distance of the peak from sea level not distance from the center of the earth.So, Mt. Everest is the highest peak. This article is not worth for discussion. Well yes that’s how it’s measured, but is sea level really the best datum if it’s inconsistent around the planet? @MichaelOak, You’re 188cm, but imagine a 188cm pile of dirt, that is indistinguishable form the dirt it is on. Now dig 1m deep a moat around that pile. Is that pile now 288cm “tall” just by removing dirt around it? Couldn’t you measure all other piles of dirt from the bottom of that moat? Everest is the highest point on earth, there’s no question about that. The other two can compete for single-biggest-rise-in-one-go. But good luck getting the kids interested in that title. Great points between both Craig and MichaelOak. It all really depends on how you measure it. 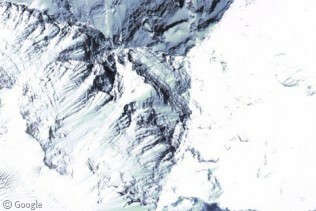 The modern society has adopted sea level as the world’s datum, so Everest is crowned the highest. Climbers tend to agree because the atmosphere follows the curvature of the Earth, and Everest requires a LOT more oxygen than say Chimborazo. Since when has height on earth been defined as proximity to the moon’s surface? The is the geophysical equivalent of a word game. Downright silly. The moon is mentioned more for visual purposes. How about the distance from peak to center of the Earth instead? This very question is the crux of the article! You are using the definition of height as above a surface. But this definition is compromised if the surface itself has varying height! Hence Everest is the highest point above a lower part of the Earth’s surface, but the Ecuadorian mountain is on a higher part of the Earth’s surface and thus is higher, if height is taken as distance from the centre of the Earth. This definition is defined in reference to a fixed point (the centre) and is not contingent on the local surface. To my mind this makes it plainly more robust. I ACEPAT HIGHT PEAK WHICH ANNAPURA IN NEPAL? 26.246FT. NEXT 28.000FT. IN EVREST?……………..